Pension Permon offers wide choise of sport activities. Choose the accommodation right in the middle of ski resort Tanvald mountain. Pension Permon are every skier’s dream location. Ski in winter, bicycle or exciting hikes in summer. Jizerske mountains are the perfect place. 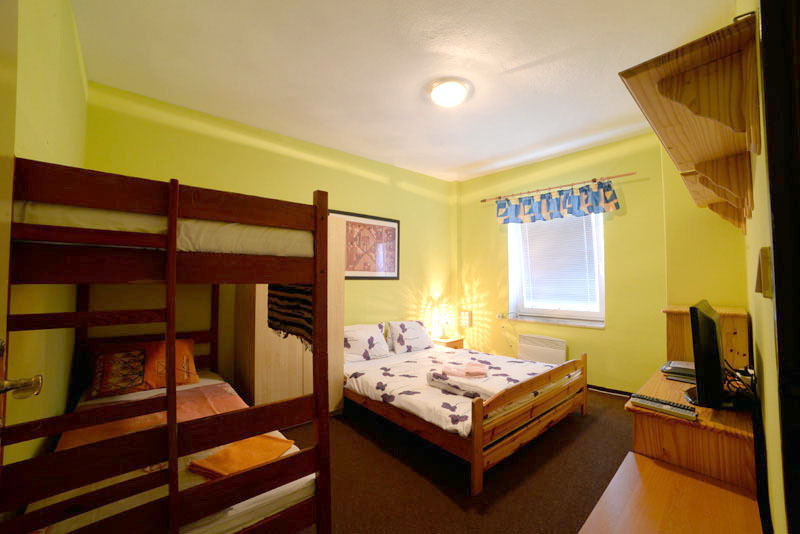 Pensions offer various types of accommodation, including large groups and schools. Pension Permon has capacity of 86 beds. Please enquire about the costs. Pensions are surrounded by various types of tourist hiking tracks and ski trails and slopes. Please ask us for spare capacity or book your stay at an agreed date. Book your winter accommodation now! For families that book weekly accommodation with us will receive Jizerky card. For more information please click here: www.jizerske-hory.cz. Pensions Permon and Krmelec are located in picturesque village Albrechtice in Jizerske mountains, right under well known ski resort Spicak. 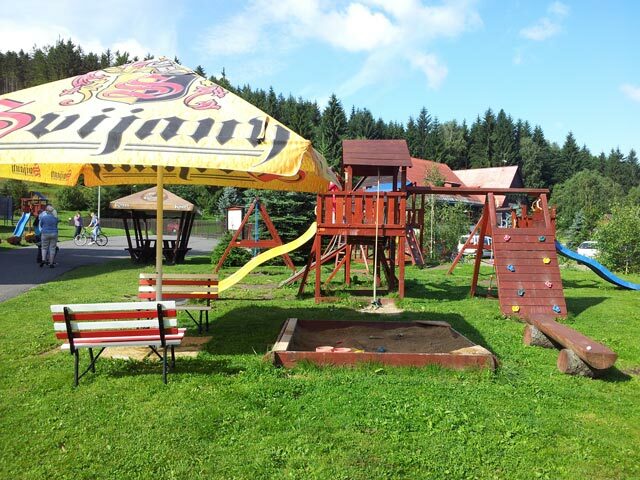 Pension Permon offers fantastic accommodation for families with children and large school groups. Its location and size is suitable for relaxing getaway or ski training holidays. You can travel by car, bus or train. Bus and train stop in Albrechtice, walking distance from the pensions. Pensions are surrounded by various types of tourist hiking tracks and ski trails and slopes. Hiking tracks will take to to exciting places such as Bukovec, Jizerka, Sous, Desna, Korenov, Snedava etc. This accommodation is ideal for quiet family holiday, country and mountain walking or bicycle rides. There is a wide range of entertainment and sport activities within 50 km from Pensions. Sychrov castle, Trosky, Grabstejn castle, ZOO and botanical gardens in Liberec, Jested, Radvanovice u Turnova (Happy land - large play area for children). The longest sleigh chute is now open in Janov nad Nisou. 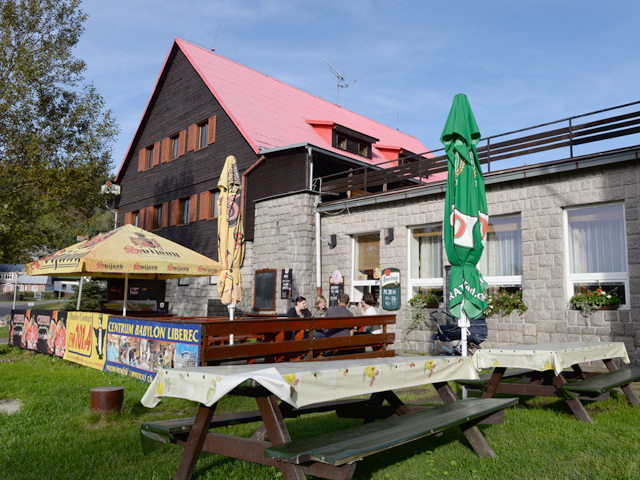 We are only short distance from Poland’s Deer Mountain for shopping and entertainment. Pension capacity is 86 beds in double rooms up to 5 bed apartments including bathrooms. Pension is perfect for families with children. 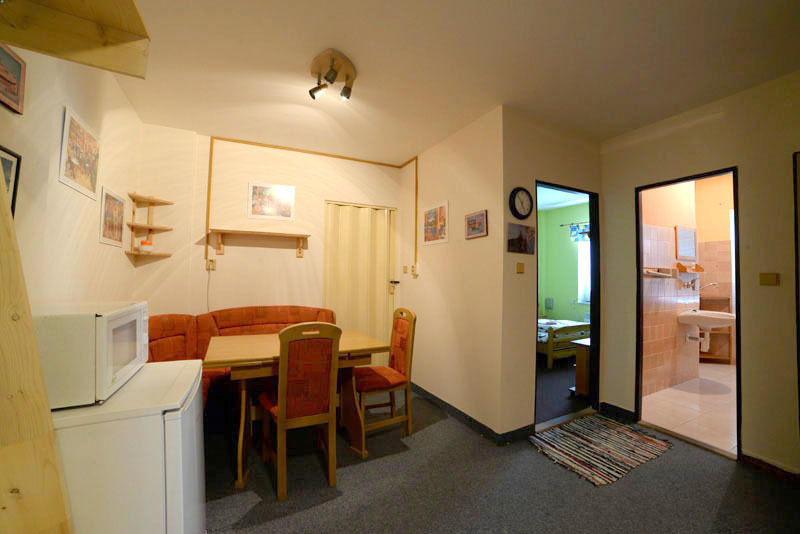 In dining area is refrigerator, microwave oven, kettle and jug with fresh water. Pension owns a premium studio apartment! Pension Permon offers fantastic accommodation for families with children and large school groups. Its location and size is suitable for relaxing getaway and ski training holidays. Pensions Permon a Krmelec are located in picturesque village Albrechtice in Jizerske mountains right under well known ski resort Špičák. For more information on ski resort please go to www.skijizerky.cz. 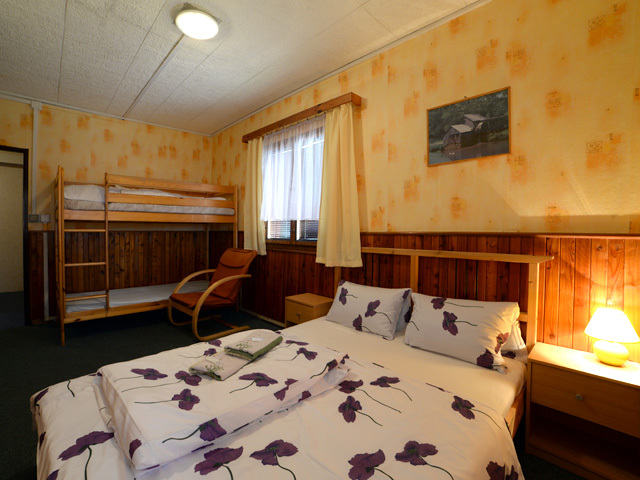 Pension Permon is located in quiet part of the village, 150 m from bus station and 1.5 km from train station. Pension Krmelec is right next to ski chair lift. Both pensions are ideal for families with children, schools and ski training. You can travel by car, bus or train. Bus and train stops are in Albrechtice, walking distance from the pensions. There is post office and grocery store nearby, health centre is located in Smrzovka. There is a wide range of entertainment within 50 km from Pensions. Sychrov castle, Trosky, Grabstejn castle, ZOO and botanical gardens in Liberec, Jested, Radvanovicee u Turnova (Happy land - large play area for children). The longest sleigh chute is now open in Janov nad Nisou. We are only short distance from Poland’s Deer Mountain for shopping and entertainment. Are you planning a holiday? Or are you just passing through? We have the right accommodation for you. Pension Permon is offering winter and summer accommodation for families with children. Our large is suitable for large groups such as school trips but also for individual or small group outings. For further enquiries or bookings please call +420 775 369 645 Mon-Fri 8 am to 8 pm or email permon.albrechtice@seznam.cz.